How many of you are familiar with paraffin wax treatments? You may have come across them at your local nail salon or spa, because they are great for treating dry, cracked skin on hands and feet. Or, if you’re an athlete or involved with physical therapy, you may be using hot wax treatments to manage your pain. If you have arthritis, carpel tunnel or other joint and muscle issues, you may also be familiar with using paraffin to treat chronic pain. The problem with most paraffin wax treatments is that you normally need a giant chunk ‘o’ wax and a wax warmer to heat it up. It takes up a lot of space, it’s messy to dip in to the wax, and you probably aren’t going to want to buy all of the accoutrements to use at home. 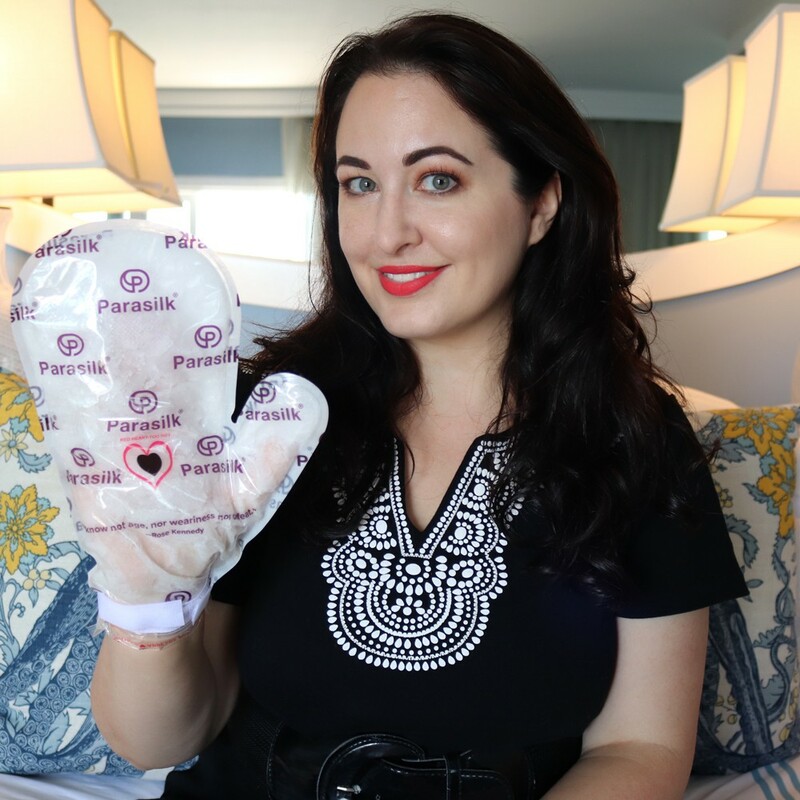 That’s why I was intrigued by Parasilk, a cruelty free brand that makes gLOVE Treat paraffin wax treatment gloves, mitts and boots. They come pre-filled with food grade paraffin wax, cold pressed extra virgin coconut oil, Vitamin E and lavender oil. 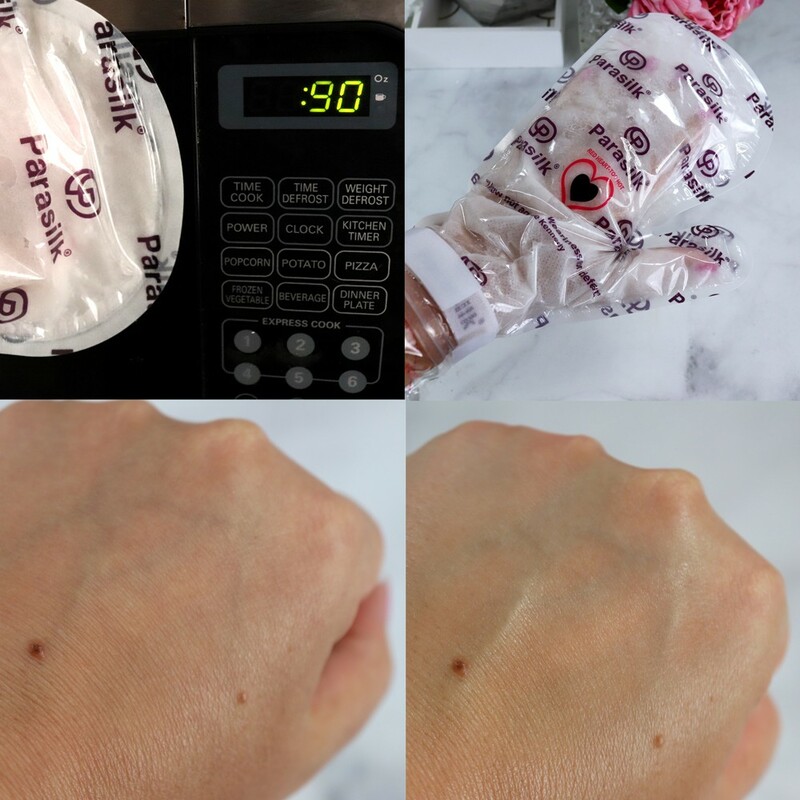 Parasilk gLOVE Paraffin Wax Treatment are very easy to use and you can bring them just about anywhere. All you have to do is pop them in the microwave for about 2 minutes (60 seconds on each side to start – your microwave’s mileage may vary of course), and then see if the thermochromic heart on the packaging is red. When it begins to darken, you can safely use it. Tear open the seal and put your hand (or foot) in, then use the velcro strap to make sure it’s secure around your wrist or ankle. 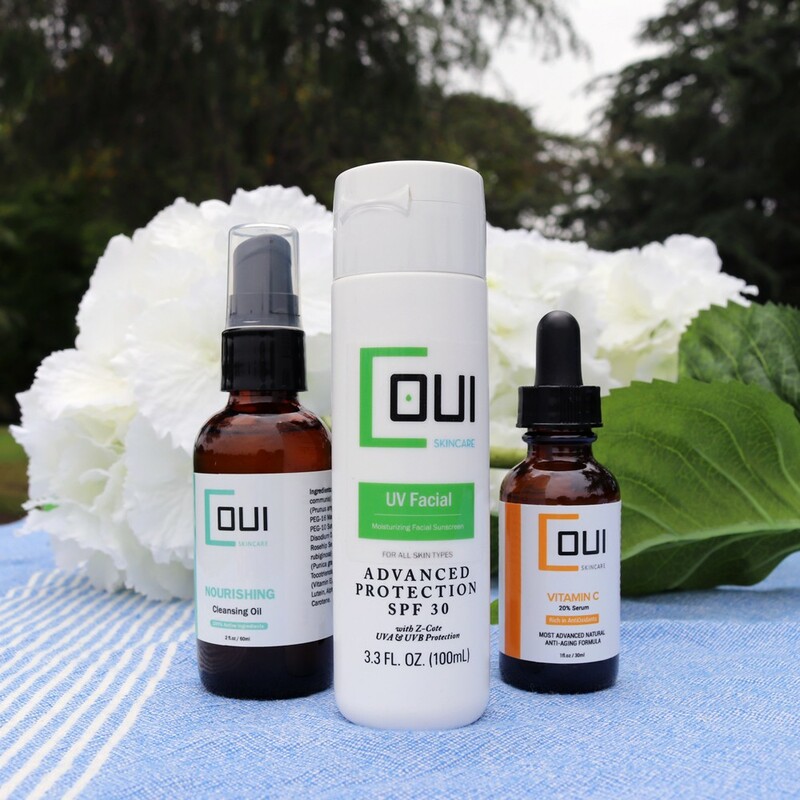 Relax for ten minutes or more and then after using, you can massage the oils into your skin. The result is soft, smooth skin, and with continued use, you can even heal dry, cracked heels. It’s sandal and flip flop season, so ladies – get these and pick up some for your men! You can use one pair of gloves or boots up to four times. It will cost you about $32.95 for a pair, which will last about a month if you use them weekly. You can find them on Amazon! I just got mine, and I’m dying to try them. Maybe tonight! I need these! I love how easy, convenient and effective they appear! I used to have a heated paraffin bath for my hands and I really loved it but the upkeep was a pain and it got kind of expensive, over the long run so I phased it out. These mitts look so convenient, easy to use and effective. I need to try them! How great that it can be used 4 times. That makes it so much more affordable. Do your hands end up with wax you have to peel off? I would love to try this to see if it would help the arthritis in my thumbs. I have tried similar treatment for hands and feet and I feel bad that I don’t do it enough. Your hands look so silky and moisturized after the treatment. I can totally see the difference! They sound very easy to use! I could do with a paraffin treatment these days, my hands and especially my cuticules are super dry.